The effects could be far-reaching. On January 3, the House of Representatives passed a little-remarked funding package with an insidious provision. 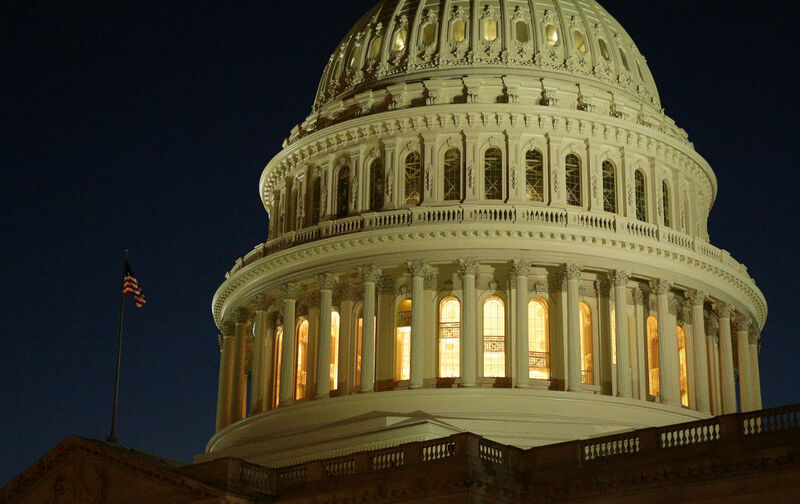 It reinstates the so-called Holman Rule and gives any legislator the power to amend fiscal appropriations so as to reduce the salary of certain federal employees to $1. In other words, it allows members of Congress to get rid of individual civil servants who are not to their taste. A 1943 instantiation of the rule was used to justify eliminating the salaries of civil servants who were deemed too leftist. It was in response to those clandestine investigations that Representative Martin Dies, chair of the House Committee on Un-American Activities, proposed an appropriations bill defunding the salaries of 39 employees whom he denounced as “irresponsible, unrepresentative, crackpot, radical bureaucrats” whose associations included “Communist front organizations.” Dies’s appropriations bill became law. Three of the 39 employees so indicted went on to sue the federal government, becoming plaintiffs in the 1946 case of The United States v. Lovett. One was Goodwin B. Watson, an educational psychologist and, years later, founder of The Journal of Applied Behavioral Science. Another was William Dodd Jr.; he had worked for the Federal Communications Commission, but was apparently punished for his associations with the American League Against War and Fascism and the Committee for Anti-Nazi Literature. Robert Lovett, the named plaintiff, was a Harvard-educated English professor whom President Franklin Roosevelt had appointed as secretary to the Virgin Islands. Perhaps because he’d signed the Humanist Manifesto—a document attesting to the values of humanism, atheism and freethinking—Lovett was accused of being a communist, a charge later shown to be untrue. It is not unreasonable to fear a coming wave of ex-post-facto punishment that might disable federal agencies. These safeguards include the right to due process, hearing, and review. They include the First Amendment’s proscription against government censorship and the system of independent oversight provided by the Office of Government Ethics, recently attacked by Republicans in Congress. The federal government is the nation’s largest employer, with nearly 2 million civilians on the payroll. For all the glee expressed in some quarters about eviscerating “the bloat” and “draining the swamp,” public jobs are an important part of our democracy as well as our economy. Competitively assigned civil-service positions underwrite America’s remarkable continuity of governance; such an unshakable foundation is enabled by job security and the long-term store of accumulated knowledge produced thereby. As the Trump administration gathers the names of those who believe in abortion rights or global warming or equal pay for women or aid to African nations, it is not unreasonable to fear a coming wave of ex-post-facto punishment, including salary retrenchments that might disable not only bureaus like the Environmental Protection Agency, the Department of Housing and Urban Development, or the Social Security Administration, but also the Public Broadcasting System, the National Institutes of Health, the Kennedy Center, and the Smithsonian’s National Museum of African American Art and Culture. In view of the Supreme Court’s Lovett verdict, the reassertion of the Holman Rule is unsettling. This Congress seems prepared to gut precisely the insulating mechanisms of nonpartisanship so essential to an enduring agency system—one based on performance rather than unbridled political patronage.